Stylish, freestanding bath with fine lines to give an elegant expression. Form and function in fantastic harmony. Can also be positioned against the wall. Easily maintained durable acrylic. If you like that little bit extra, you’ll love our large, really luxurious massage baths. We have not held back on anything here, Westerbergs Pacific is for those who enjoy life and have high demands. Each component is hand-picked to offer you our best massage. There are three different models to choose from – each with a unique shape but all with the same efficient system and performance. Gryning gives you a modern classic look. The rebated fronts with elegant profile combine a classic look with modern fine lines. Beautiful and solid materials are combined with specially selected quality components. This gives you a timeless and minimalist style with clean lines. The smooth rebated fronts give the furniture a simple and modern look with fine edges. Practical storage solutions, solid materials and quality components create a piece of furniture that endures over time. We’ve been designing, developing and building massage baths since 1981. Quiet, powerful and well-designed baths with systems that are more environmentally-sound and more reliable than previous models on the market. Our product development embodies a constant ambition to produce high quality products for the Nordic market that invoke the right mood. Our furniture ranges focus on function and design, but also on the small technical details. However, what we are most proud of, is our experience, our expertise, and above all, our ambition to advance. In our Afton and Gryning furniture ranges, the design is well balanced with high quality and cutting edge function. A well thought out simplicity with carefully selected details and fine lines makes our bathroom furniture timeless. A lot rests on the detail work, in the selection of materials and the fact that even the shape has a function. Visit us for everything from classic baths, with a typically romantic style, to freestanding baths of absolute top class featuring the very latest advances in bath design and ergonomics. 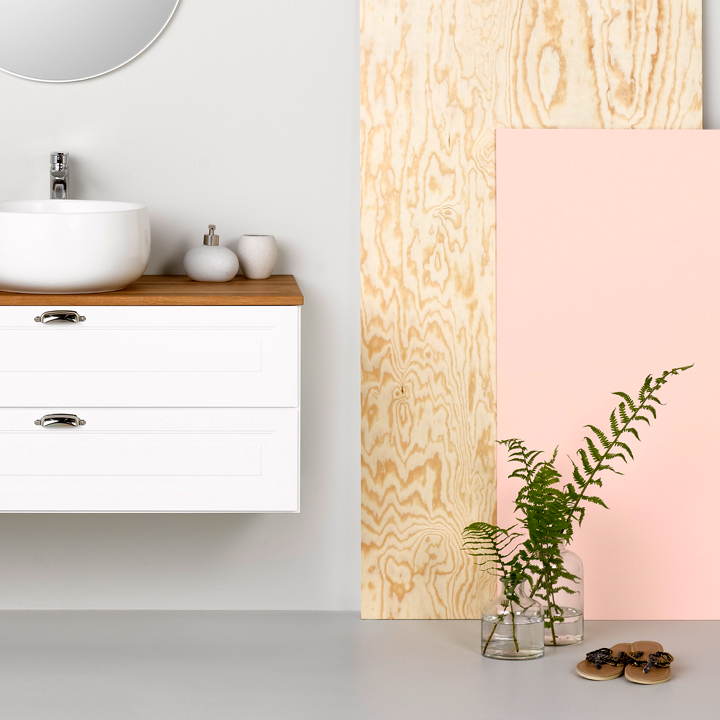 The designer, Måns Broman has designed several baths, including Diamond, Calm and Ellips, three baths with modern shapes and that lift the style of your bathroom to a whole new level. Massage baths and baths are that little bit closer to our heart. Therefore, we have a wide range of baths, full of features designed to meet the high demands from our Nordic customers. We have developed our massage systems to provide a powerful massage as quietly as possible. A modern bath designed by Måns Broman. Made of genuine cast marble, with light walls and surface in silk matt white or glossy black exterior. Unique shape and stability to provide optimum comfort. 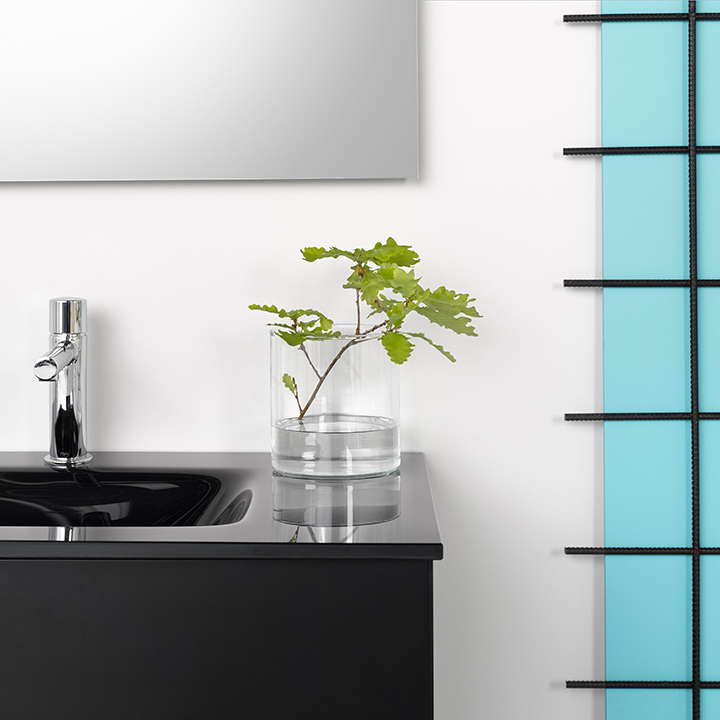 Elegant light washbasins in black solid glass.